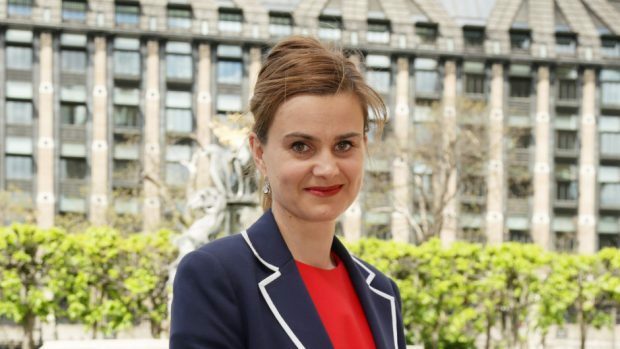 Jo Cox was shot and stabbed in Birstall. I’ve been hearing this a lot since coming back to work after maternity leave. Those telling me are referring to the Brexit negotiations – and it’s true. I’ve bypassed the trailers, arriving just in time for the feature presentation. There’s been a lot of clamour over the past year, but that’s largely all it has been – noise. So it’s fair to say I picked my moment well – not that my baby plans were in any way influenced by the political calendar. Understandably, I was nervous as my return date approached, worried I would be out of my depth and playing catch-up. The fact things haven’t moved on much is therefore very helpful. And I firmly believe that stepping outside of the Westminster bubble for a while has improved my perspective. I’ve discovered which stories break through and those that don’t. I’ve found people care greatly about Brexit but generally – and there are obviously exceptions – aren’t as obsessed with every cough and spit as political journalists. All that said however, it seems politics has changed in the 12 months I’ve been away – and not for the better. Always boisterous, Westminster now feels more brutal than ever before. I’m talking about the disgraceful language flying around in recent days, set against the backdrop of Dame Laura Cox’s recent report that the House of Commons is rife with bullying. We have hit a new low. Theresa May, at the ship’s helm during a particularly challenging juncture, faced an astounding torrent of abuse over the weekend. The prime minister was also warned to “bring her own noose” to the 1922 committee where she faced her MPs on Wednesday. However much you disagree with Mrs May or feel frustrated at her approach to the EU withdrawal negotiations – and there are many on both sides of the argument who do – resorting to personal attacks in such terms is simply unacceptable. It’s not the way we should be doing things. And those responsible know as much, not willing to put their name to their remarks, instead hiding behind the same anonymity that keyboard warriors use as a buffer online. Thankfully there was cross-party condemnation of the comments, which spectacularly backfired, inadvertently bolstering the PM – clearly not the intended end of their utterers. 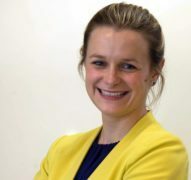 SNP Westminster Leader Ian Blackford called them “abhorrent”, while Labour’s Yvette Cooper, who chairs the Commons home affairs select committee, said the “vile and dehumanising” language was “normalising violence”. The late Labour MP was murdered in her constituency in the run-up to the EU referendum in 2016. Let’s also remember PC Keith Palmer at this point, stabbed in the line of duty within parliament’s boundary last year. I still get tears in my eyes when thinking about both events. Of course, the price of free speech is that very often we hear things we don’t like or disagree with. While some argue that nothing is off limits, others believe that when free speech becomes hate speech, it should be silenced. Deciding where one stops and the other starts is clearly very difficult and perhaps a topic for another day. As a journalist, I obviously value the importance of being able to hold politicians to account without fear or favour. But I also believe we should all try to set a good example, whether that be me taming my own sometimes colourful language in the hope my one-year-old daughter’s first word isn’t a naughty one or the leaders of our nation setting the tone for public discourse. Moreover, wouldn’t life be easier – and a lot nicer – if we could just be civil? Returning to the B-word, I think it could be precisely because of the lack of movement over such a protracted period that certain individuals have become so careless. There is quite rightly passion on each side of the debate, both among politicians and the wider country, heightened by the increasingly short timetable in which to get a deal with the EU. That is understandable and fair enough. But this cannot and must not be an excuse for bad behaviour. It wouldn’t be tolerated in most other walks of life and shouldn’t be accepted in the political world either. Time to pause for thought and take a deep breath.